kids, and enjoying her grandchildren Debra can still be found committing countless hours to many causes throughout Manitoba. With her husband at her side they can be found at events throughout the city helping in any way they can for the cause. 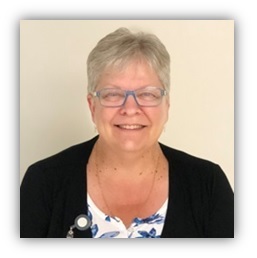 Debra worked as a Health Care Aide for many years before retiring and committing her time to volunteering and helping those in our community in need. Debra is a member of the Odd Fellows & Rebekah’s (42 years). As the current Chair of our Board Deb’s commitment to Golden Links Lodge is evident each time she walks thru the doors of the lodge. Debra has a genuine love for Golden Links Lodge. She can often be found chatting with employees, residents and family members. Ask Debra what she does for down time, she’ll laugh out loud and ask what down time are you talking about! Spending time with family and friends in volunteering in community fills her cup and she does it with much love and commitment. There are very few weekends that you won’t find Debra working with her local Community Centre Club Winakwa, the school board or the church. Golden Links Lodge is thankful to have such a hardworking committed member help lead us.